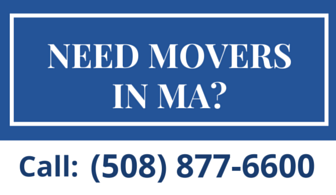 Initial Pick-Up & Initial Index – No Charge! 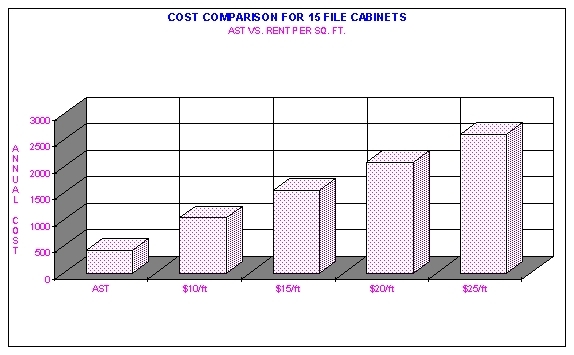 Compare AST’s costs with how much you spend per square foot now for rent in your office. The above comparison is for approximately 120 standard letter/legal record cartons. As you can clearly see, AST will save you and your company money now and in the future! LET AST SAVE YOU TIME, MONEY, & EFFORT! 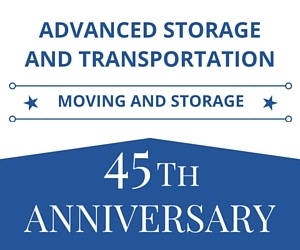 AST’s modern record storage facility utilizes the best technology to store your valuable records for long or short term. We have provided by all records management for the FDIC, we meet and exceed all industry standards. Our total approach can be summarized in just three words: EASY, COST-EFFECTIVE and GUARANTEED. Before AST began it’s record storage business almost ten years ago, we looked closely at the competition to see what they offered. We also talked to potential customers and asked what they wanted and weren’t getting from the competition and lastly we tried to put ourselves in the shoes of our customers and try to predict what they might need in the future. What we came up with is UNIQUE. We started with a modern well lit facility, with ample parking and convenient to the Mass. Pike, Route 128 & 495. Our 70,000 square foot brick facility in Worcester has 24 hour central station monitoring for smoke, fire and burglary through ADT along with sprinklers. AST offers it’s customers 2 LEVELS OF STORAGE: dead records storage and active records storage. Depending on your requirements you may keep records in one or more of these levels and move them from one level to the other as your needs change. This guarantees that you keep your costs to a minimum while maintaining only the level of service you need for each kind of record. Our free assistance to you and your staff during conversion, ensures you and your staff that this task will be accomplished with the least amount of down-time. We can also provide optional on-site assistance if you require additional experienced office management. If there is a need for packing labor, we can provide fast efficient labor. Our project supervisor will participate in all necessary meetings with staff and management to eliminate any problems at no additional charge. AST offers CUSTOMIZED REPORTING. When it’s time to organize your records, we go a step further than most companies with our flexible reporting. We can keep track of all of your records and report this information to you in two basic ways; printouts provided an agreed upon interval and back-up copies of your reports in PC format both reports at no charge at no charge to your company. Whichever reporting makes sense for you, we will also customize the report to fit your needs at no additional cost. You can have a report by department, division, date, client or project or any other category and our record tracking can give you history of record activity, current status, itemized detail of contents or any information that helps you in your management. Special security codes can be set up to limit access to key people only. If needed we can enter all the relevant information on your site, including bar coded labels, before any records are removed. Our computerized bar-coded tracking is the latest technology and guarantees accurate data entry, and our data base allows for multiple field searches when your not sure which records you need. When a record is needed you have a choice of how you receive it: if called in by 3 pm it will be delivered the next business day; if it is a rush, our express service will guarantee it delivered within 2 hours; you may also ask for either individual files, complete boxes, or have your records faxed. For some clients, it makes sense for them to have access to their own records 24 hours a day. For these clients we provide special security access, and comfortable on-site reference rooms for a few hours or a few days. At AST we try to work with each client on an individual basis to make the transition to off-site records management easy. 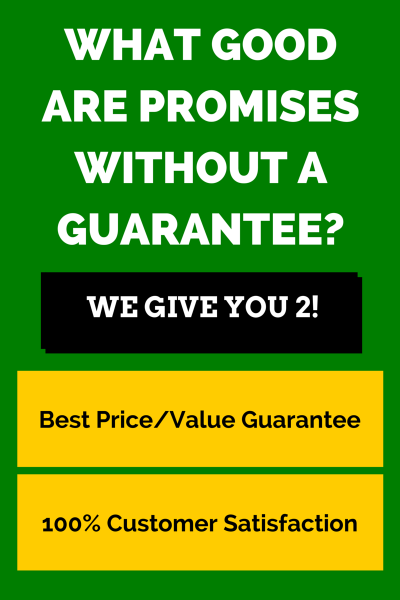 We are committed to your satisfaction and offer our 100% CUSTOMER SATISFACTION GUARANTEE. If there is any part of our service you are not satisfied with we will correct it to your satisfaction before you pay your bill.